He has been involved in the field of human behavior, personal and professional development for over almost 30 years. In that time, he has been involved in the development of numerous businesses in various industries (retail sales, entertainment, software development, marketing, real estate, event management, consulting and coaching). As a business owner and consultant, he has discovered that for a business to succeed, whether it is a small startup or a multi-national corporation, they all ... See More follow a repetitive cycle which he labels “The Anatomy Of Transformation”. This cycle is a 7 Phase framework that he has implemented in his consulting and coaching work which has created DRAMATIC results. One company using this system increased their sales by 93% in one year. Another company that Willard’s team is working with became one of the 10 fastest growing companies in NJ for 2014, and one of the 2,000 fastest growing companies in the United States. He is a #1 Best Selling Author, an Internationally recognized speaker, business consultant and strategist, host of the video series Self-Awareness 101 where he shares the journey and lessons have taken him from a life of mental, emotional, spiritual, physical and financial ruin to being one of the top trainers in his field. 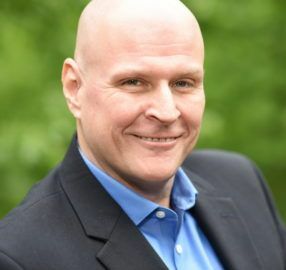 He is the founder of 4 successful companies including an entertainment company, a marketing company, as well as Willard Barth Enterprises and Co-Founder of The N.A.P. Coaching Academy. Additionally, he is a successful singer/songwriter. His first album “Coming Home” enjoyed International success with the first single “Wind Dancer” reaching 24 on the pop charts overseas. He also performed over 100 times on Broadway with the legendary Les Paul. He co-founded and was the President of “The 7th Power” which is a New Jersey based Non-Profit organization promoting empowerment and charitable support to the community. And currently sits on the boards of two other Non-Profits (LatinosNYC and The Fine to FAB Foundation). Willard doesn’t just share “theories”. He shares proven skills, strategies and resources that he has applied in his own life and that he has shared with hundreds of thousands of individuals and hundreds of companies to help them get measurable results!